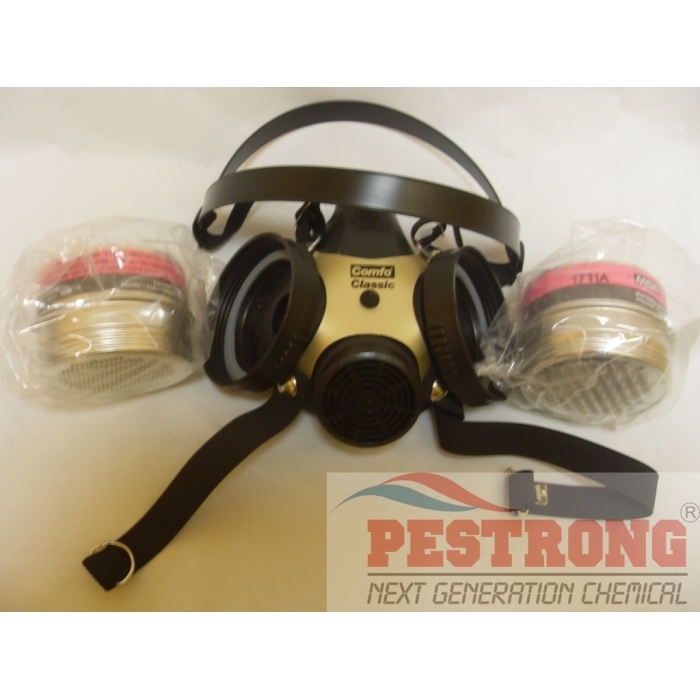 Where to Buy Comfo Classic Respirator Mask with P100 Cartridges, Comfo Classic Respirator Kit MSA-808073 GMA-P100 - $73.90 for Sale with Fast Free Shipping! Comfo Classic Respirator Kit MSA-808073 GMA-P100 contains one(1) of MSA-808073 + two(2) of GMA-P100 (#815178) cartridges. It is a silicone type & large size fits most. The GMA-P100 filter cartridges(#815178) is included two(2) which will filter 99.97% of particulates including liquid spray, aerosol sprays, dust and viruses, so the wearer breathes in clean, fresh air. Upon inhalation, the air stream flows through the cartridges, which remove contaminants, so the wearer breathes in clean, fresh air. Requiring only routine filter replacement, the Comfo Classic respirator is approved by the National Institute for Occupational Safety and Health (NIOSH) for use against a variety of respiratory hazards. Use MSA Cartridge Service Life Calculator to establish a cartridge change and schedule. Fits well, works well, priced well. Nuff said. Good product with cheap price! Light, comfortable and cheaper than others. This has been my favorite mask. Other local supply does not supply this.